UnitingCare Australia National Director Claerwen Little has revealed some concerning consumer feedback during the Royal Commission hearings which the organisation gathered from online surveys and focus groups . Ms Little says aged care didn’t seem to be at the forefront of consumers’ minds, with many under the impression that the system was “dominated by the for-profit sector”. “There were no surprises in that... the cost of living, health and hospitals and employment were the top three for people. Aged care... (was) essentially not something that people really thought about until they had to,” she says. Ms Little says the findings also show that those surveyed didn’t think they should be paying for aged care and did not have a good understanding of the current system. “They do believe they’ve paid their taxes and they’ve contributed to the community all their life and that they should be supported in old age,” she says. Ms Little also says current aged care regulations are “very rigid” and don’t have the flexibility to adapt to people's wishes and aspirations. “At the moment the regulations really bind up a system and the service so they can’t...necessarily provide that choice for the individual,” she says. “For example, if somebody wants to get out of bed, they want to have a choice about what they wear in the morning. They want to have a choice about what they eat for breakfast. “At the moment we have a regulatory environment which is incredibly hard in which to create an environment where choices can be exercised in that way." Ms Little says she’d like to see the system adopt a “continuous improvement” process that is based on outcomes and needs of the individual, “rather than the needs of the system”. 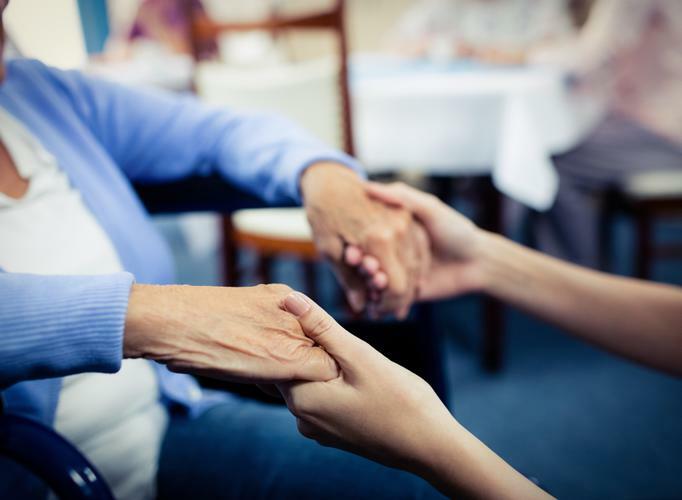 Not everybody across the aged care system is failing and most staff are “incredibly dedicated” to the industry, says Aged Care Guild Chief Executive Officer Matthew Richter. While admitting there are “a number of symptoms” in the system approaching a tipping point, Mr Richter says it’s important to highlight there are committed workers in the sector. “I don’t believe that all providers are doing the wrong thing or all providers are bad or certainly that all staff are not doing the right thing,” he says. Mr Richter says Aged Care Guild is looking to develop an online collection of quality indicators, consumer feedback and potentially a rating system to set benchmarks across the industry and help consumers make more informed decisions about providers. He says everyone is looking for different things from aged care services and should be able to search for quality indicators that are important to them, and have a platform to give recommendations to others. “Everybody’s different and maybe you have certain preferences about how you might want to live,” he says. Mr Richter says he hopes for the prototype to be active as early as this year. Australian Medical Association National President Dr Anthony Bartone says findings from a members survey suggest a lack of nurses in residential facilities is compromising successful handovers after a GP visit. “When you’re leaving for your shift to the next shift, handover provides a very important part of that exchange of information, critical and vital to the continuity of care of your patient,” he says. “(The lack of nurses) is subjecting the Australians in said facilities to a lesser standard of care. Dr Bartone says there’s potential for medical prescriptions to “fall through the cracks” and patient’s access to medication could be delayed, adding that ongoing communication between personal care attendants and registered nurses is critical in the follow-up process. Trade union United Voice’s Melissa Coad also addressed the Commission, saying feedback from members suggests the adoption of person-centred funding in home care had lead to decreased flexibility and reduced some “paid time activities” for consumers. “Now that they have individual budgets for each person receiving a package they have to acquit that money against that individual budget which gives them...less flexibility in moving things around where it’s appropriate,” she says. Today the Commission will hear from the Health Services Union and consumers.